The following schools made Forté’s Men as Allies Online Toolkit possible. Join us in thanking them for their commitment to gender equity. Join a growing group of men who are changing the world by actively supporting gender equity on campus, in the workplace, and at home. That’s what being a male ally is all about. 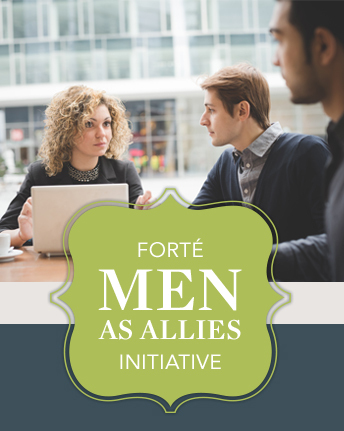 For general questions about Forté’s Men as Allies Initiative and Toolkit—or for more information about getting involved in these efforts—email: info@fortefoundation.org. For related media inquiries, visit our Press Page to identify our media contacts.